Austerity Britain, that period marked from 1945 into the fifties, some say even the early sixties, has a watchful record of personal writing. 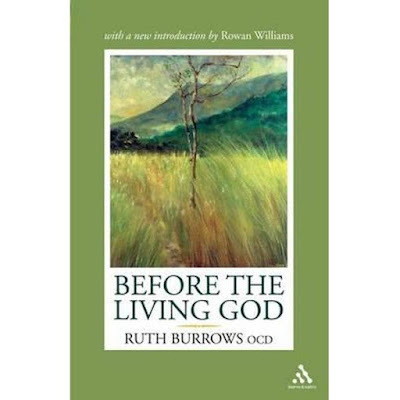 When Ruth Burrows, the spiritual writer, entered the Carmelite Order at a young age, she stepped from a family life striving bravely to makes ends meet in an unnamed English industrial city, into a strict enclosed community life where one of the vows was to poverty. It is in about 1947 or 1948, the author has little interest in dates and rarely provides them, that the following account of her newfound reading practices is set. 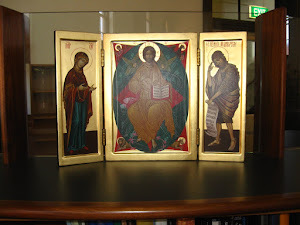 The novitiate library was very impoverished. The community had not the money to buy many books but there was a keen desire to build up a library and we were told to ask for books when friends or relatives wished to make gifts. There was little that attracted me. I was afraid of books on the spiritual life for they made me feel so hopeless. Abbot Marmion’s ‘Christ the Life of the Soul’ was on the shelves and this appealed to me. It was objective. It did not talk about degrees in the spiritual life, it talked about Christ and our union with him. I found some comfort and support in this book. Likewise our mistress used to read a treatise on the ‘Precautions of St John of the Cross’ by a Spanish Carmelite. This was not a frightening book. It was full of love and gentleness and, at the time, the only book on Carmelite spirituality that I liked. It helped me a great deal and, I would say, set a direction for me in the way of practising virtue. I was still very worried about the attachment to our mistress [of novices] but, on the other hand, this writer spoke with such understanding that I felt less guilty. I learned not to concern myself with other people’s business, to find a kind of construction for their faults, to have a supernatural view of the Superior and other things besides. I am not saying I carried out these teachings but they sank into my mind and established a standard of conduct no matter how far I fell below it. It was a spirituality I could understand and want. It was true and full of love. Ruth Burrows’ autobiography is recollections of the interior life, starting very openly with the immense and conflicting emotions of growing up. Ruth Burrows is intensely self-conscious of her emotions, before, during, and after joining the Order. Fear of being ‘hopeless’, as she puts it, is an honest admission. We all at some time look upon a new reading challenge with trepidation, with self-doubt, and even more so when it is required reading, required for our future career and well-being. Books on the spiritual life could present fearful challenges when seen as textbooks for the chosen job. 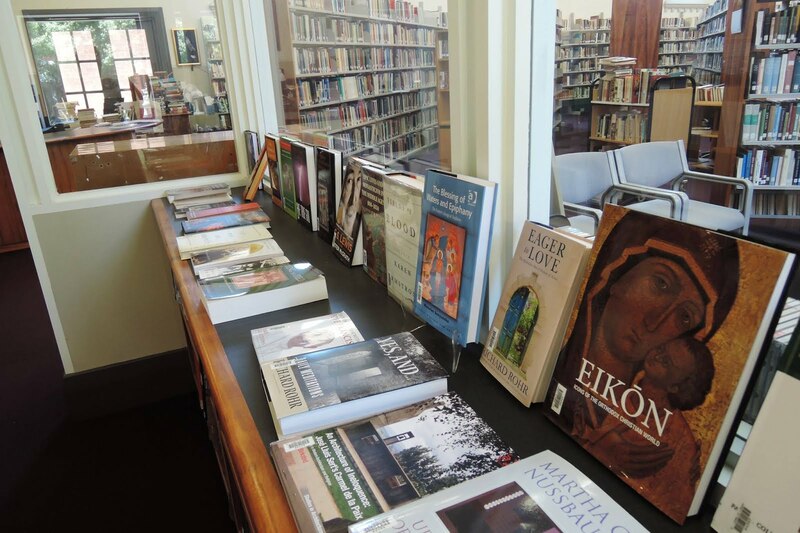 The paucity of good reading on offer doesn’t help and we observe how Ruth quickly moves from a report on the library to the only thing that matters, really, the contents of the books on the shelves. It is helpful to note the words she uses to define a good library and a good book. She must be attracted to the reading. She likes books that speak to her meaningfully, cf. objective books on spirituality, not those insisting on degrees of spiritual progress. She wants reading that is a comfort and support. In her case, at this time of her training, this most definitely means books that are full of love and gentleness. (That the novice mistress, on whom she had a youthful crush, read this book aloud to the young women would doubtless have increased her appreciation of its contents.) The books need to present a spirituality that she can understand and want. By the end of the paragraph we have not only forgotten about libraries, we have forgotten about reading too. Ruth Burrows finds the books that speak to her own experience, her own desires. She is already on her first steps along the Carmelite way. Instructive in this paragraph is the author’s move from fear to that which overcomes fear. This is the older woman reflecting on how she overcame her fears, of being ‘hopeless’, of being overwhelmed or feeling not communicated with. The thought process moves from awareness of impoverishment and books being frightening, to awareness of that which is good, that which speaks with meaning, and that brings the reader into truth and love. The paragraph is a demonstration of the spiritual life it is describing. She places trust on that which is positive and leads her where she needs to go next. Quote from: ‘Before the Living God’, by Ruth Burrows. New edition. (London, Burns & Oates, 2008), pages 52-53.